On sale! 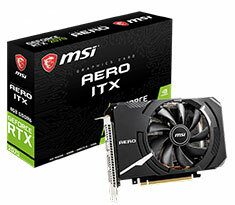 (normally $799) The MSI GeForce RTX 2070 Aero ITX graphics card features a 1620MHz boost clock, 8GB 256-bit GDDR6 memory, PCI-E 3.0, OpenGL 4.5 support, DirectX 12 support, HDMI 2.0b, 3x DisplayPort 1.4, NVIDIA Shadowplay and VR Ready. The power of a full size graphics card in an incredibly small package. 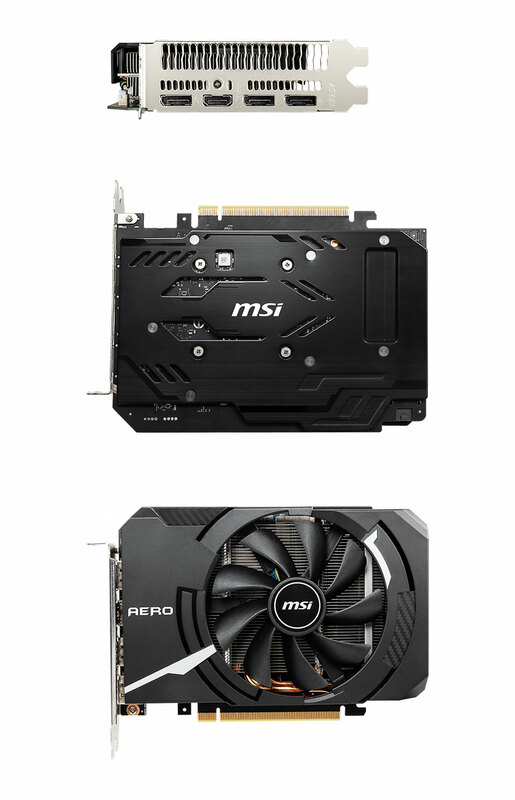 MSI AERO ITX graphics cards are perfect for small form factor systems and HTPC’s as they only take up a fraction of the space of a full size graphics card. Backed by a 3 year MSI warranty.